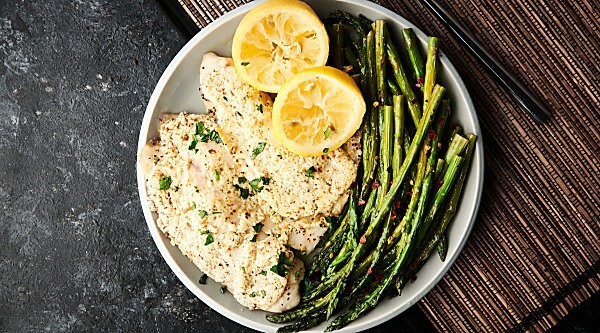 Healthy Greek Yogurt Lemon Parmesan Tilapia Recipe. Baked tilapia covered in greek yogurt, lemon juice, a touch of butter, a dash of parmesan, and spices. Quick, easy, healthy, and gluten free. Less than 200 calories per serving. Perfect for a week night dinner. 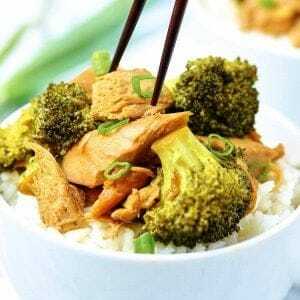 If you love this healthy fish recipe, you’ll also enjoy: homemade healthy air fryer fish sticks, walnut baked scallops, sheet pan asian salmon and broccoli, and blackened tilapia. This recipe might not be a looker, but man oh man, it is delicious! If you’re looking for ways to eat more fish or *think* you’re a fish hater, I’d highly recommend giving this recipe a try. Tilapia isn’t a very fish-y fish to begin with, plus it’s smothered in greek yogurt, lemon juice, a touch of butter, a dash of parmesan cheese, and spices . . .
How do I make baked parmesan yogurt tilapia? Preheat oven to 400 degrees F and grease a 9×13 inch baking dish with cooking spray. Dry tilapia thoroughly with paper towels. Place into prepared baking dish. Sprinkle tilapia with salt and pepper. In a small bowl, stir together butter, greek yogurt, lemon juice, parmesan cheese, garlic powder, italian seasoning, and red pepper flakes. Pour butter mixture evenly over the tilapia filets. Bake in preheated oven for 10-12 minutes, or until the tilapia is cooked through and easily flakes off with a fork. Serve with more salt and lemon juice, to taste. Is tilapia a good healthy fish to eat? Yes! Tilapia is healthy and is a great source of very lean protein. Plus, it’s super affordable! I love in this recipe that it’s paired with even more protein from the greek yogurt! What do I serve with tilapia as a side dish? What would YOU serve with this tilapia? 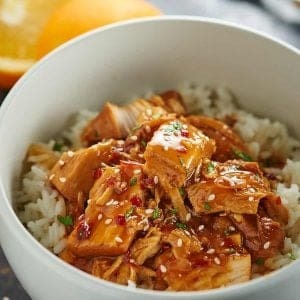 A mild, tender, perfectly cooked, flakey fish smothered in a flavorful lemon-y, garlick-y, tangy greek yogurt mixture . 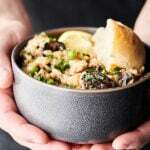 . .
this recipe is quick, easy, nutritious, and of course . 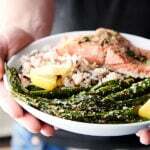 . .
Do you want more fish or seafood recipes? Show Me the Yummy! Healthy Greek Yogurt Lemon Parmesan Tilapia Recipe. Baked tilapia covered in greek yogurt, lemon juice, a touch of butter, a dash of parmesan, and spices. Quick, easy, healthy, and gluten free. Perfect for a week night dinner. Preheat oven to 400 degrees F and grease a 9x13 inch baking dish with cooking spray. In a small bowl, stir together melted butter, greek yogurt, lemon juice, parmesan cheese, garlic powder, italian seasoning, and red pepper flakes. Spoon butter mixture evenly over the tilapia filets. This is a great way to serve tilapia. 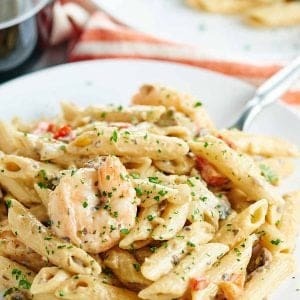 I used cajun seasoning instead of Italian and fresh garlic instead of powdered. Served it over a bed of raw diced kale, chard, and Brussels sprouts.